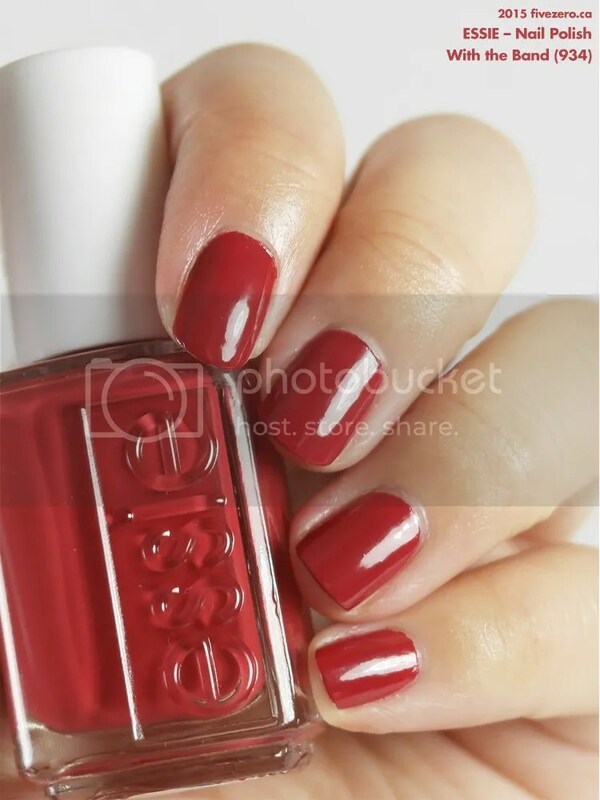 Essie describes With the Band (934) as a “toasted spice burgundy”. 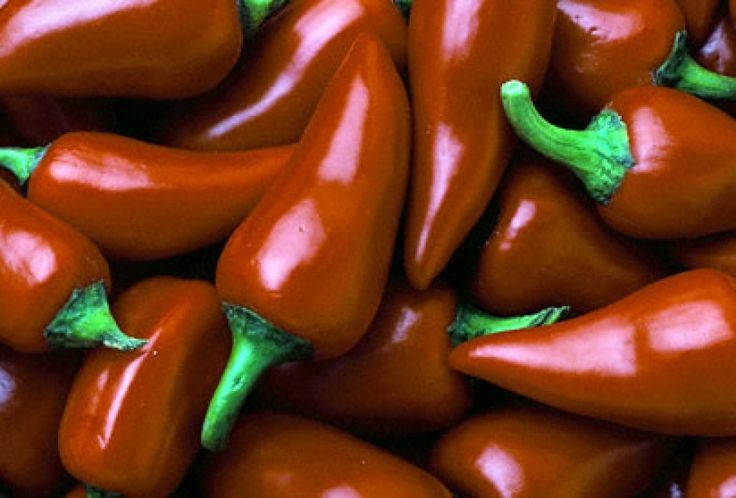 It’s a mid-deep red cream with a curiously cool berry undertone coupled with a stronger, hot chili. The formula is good and very easy to work with. Two coats gives full, even opacity, and the polish dries to a glossy finish. As a red fiend, I’m particularly smitten by this shade, which is pretty unremarkable in the bottle. I can see it working across a wide spectrum of skintones, so I heartily recommend it! Strange: I noticed it in store and like you didn’t think twice about it, but I love it on your nails! What a great slightly different red. Might have to get this now. The colour is so nice and its tone looks like that it is in between a red tomato and juicy strawberry colour. That is a fab and yummy way to describe it! I’d totally pass up this shade – it has that dirty undertone that makes me think “5 day old” polish for some reason. LMAO! That’s an interesting way of putting it. You have so many red polishes! essie is my favorite polish. I look at the name and decide if I should get it..lol I buy polish over Starbucks every time. You look great in red! Haha, thank you! Essie is one of my fave polish brands, and I will definitely pick a nail polish over a fancy coffee, anytime 😀 Thanks for visiting! Definitely! 🙂 Write about what you love!